Yes, however, when you search for a Locksmith near me you will find a vast amount of local Locksmith companies but finding the right local Locksmith in Birmingham for the job can be a challenging experience. Most Locksmiths in Birmingham operate as a large call center and simply pass your details onto independent Locksmith companies. 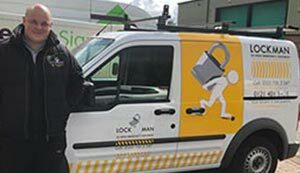 Here at Lockman Birmingham, when you search for a Locksmith near me, James will be ready to help without having to pass your details around to other 3rd party companies. Need a local Locksmith near me? 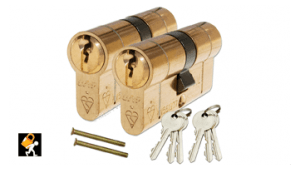 No problem, When you search for a Locksmith near me, James from Lockman Birmingham is ready to help with all your lock repairs and replacements for both residential and commercial clients within the Birmingham area. James is a fully trained local Locksmith in Birmingham providing a quality Locksmith service 24 hours a day, 7 days a week. When you contact Lockman Birmingham you will be contacting James direct, rather than a large call center where you can easily be misled or forgotten about. Your local Locksmith James is different, every client is as important as the next no matter how big or small the job may be. If you are looking for a trusted and reliable locksmith near you then call James on 0121 401 1404 for a free no obligation quote. 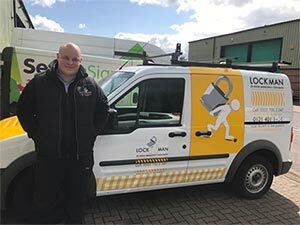 If you are locked out of your property, finding it difficult to lock your door, got your keys stuck in the lock or even lost your keys then call James from Lockman Birmingham. James is a local Locksmith near you has attended a wide variety of Locksmith jobs ranging from providing a new key cutting service to replacing security doors and installing alarm systems for both domestic and commercial clients in Birmingham. Call James from Lockman Birmingham on 0121 401 1404 for all your lock issues, ranging from broken keys to full security assessments for both residential and commercial clients within the Birmingham area. Your local Locksmith James offers a 24 Hour Locksmith service 7 days a week with no call-out charge. When searching for a local Locksmith in Birmingham you will come across hundreds of companies offering their services, ranging from small companies to large call center style businesses. How do you choose the right local Locksmith near you? When you are looking for a reliable Locksmith near you the first thing you should consider doing is looking for company reviews. Make sure you know how long they will take to reach you, some Locksmiths like prearranged appointments and so provide a 24 Hour Locksmith service and aim to be with you as soon as possible. Make sure you know how much the job is going to cost including parts & labor as some vary a lot. Choose a local locksmith rather than a national company as they tend to use any available locksmith within your area meaning you are unlikely to get the best local Locksmith for the job. Looking for a 24 hour Locksmith near me?